A special thanks to hozsy who provided us with the photos. She is looking very happy in the fan meeting pics and even more lovely in the others in dark jacket. Thanks for very clear pictures covering the occasions. When are the second set of pics from? read the article above. it is important that you choose the right script in your next projects. is it just the lighting or she's got a tan going on??? i think she enjoyed too much of the philippine sun..but she still looks AWESOME!! She looked good before Christmas. And facial expression... that is ugly. You have necessary to watch the weight. You have to learn to stand up beautifully, to make a nice expression on her face. Sorry to disagree but I have never seen her with an ugly expression. she has one of themost expressive alive faces that makes watching her so enjoyable. She may have gained slightly but she is still looking good. It's just the cut of the white dress. One cannot make sweeping statements based on few pictures. Today's warped society defines beauty as someone who is stick thin. We see it in fashion magazines and other medias and as impressionable young girls, we believe we should be stick thin too or think we can impress on other people to be the same. Young girls go to lengths just to achieve what society calls “beauty.” Just because someone doesn’t fit society’s “beauty” that does not make them ugly or cause someone to lash out for no other apparent reason. If you TRULY are the most beautiful person in the world, then yeah, maybe perhaps you might have some right to call someone ugly or say such mean things about them without even knowing their person. As fans, do we love her because of her beauty? Do we love her because she’s “skinny”? No! We love her because of who she is as a person and an actress. 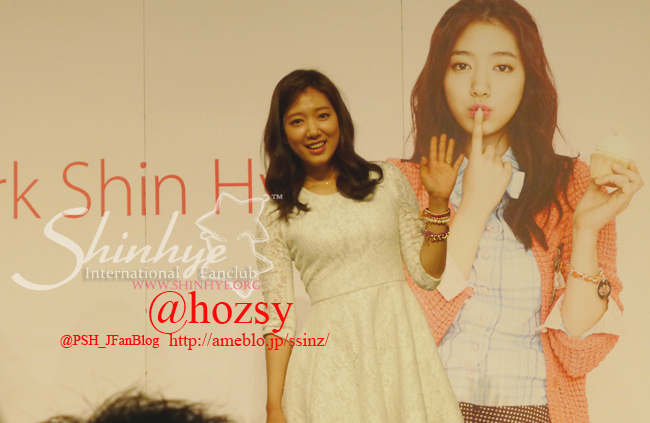 I’ve yet to meet a celebrity who is as humble, kind-hearted, and loving as Shin Hye. If becoming a star was solely based on looks then 99% of actors would be out of work. 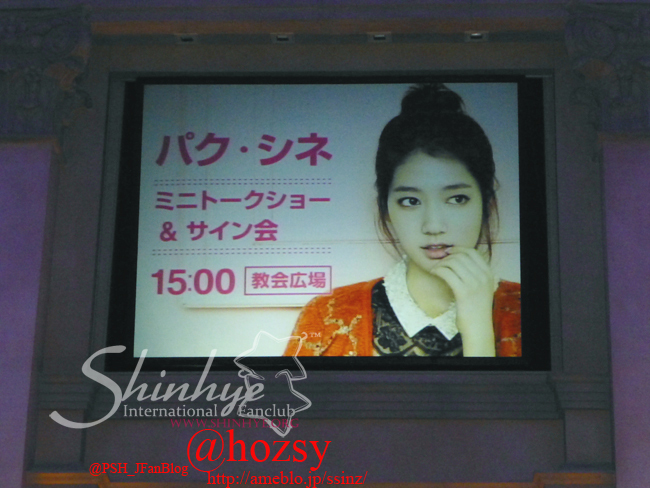 I know my reasons for becoming Shin Hye’s fan and it has nothing to do with her exterior beauty. And calling her expression ugly is just harsh. And if a beautiful outside is all that you want in a celebrity, well there’s certainly enough of those out there for you to be a fan of. 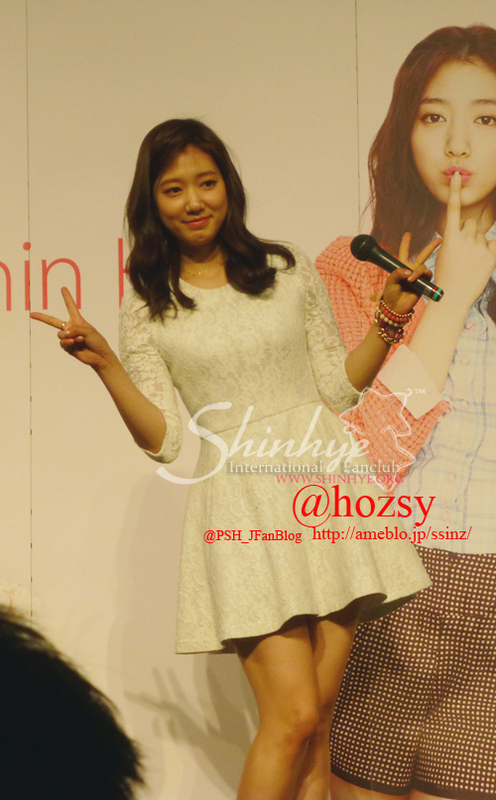 Leave Shin Hye for those who truly appreciate her. 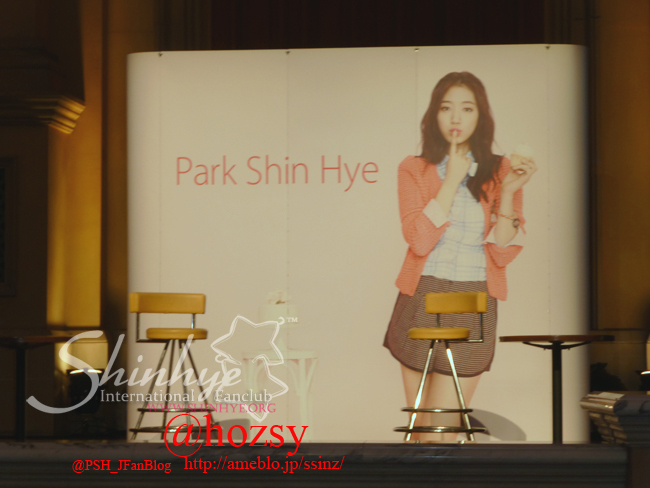 All I know is that Park Shin Hye has that uniqueness that makes her the only person that I have ever followed and become an admirer. I have liked many but never given any my time other than watching their movies or dramas. Even those are few. Funnily enough Audrey Hepburn is my favorite too......introduced to me by my mother......and now my daughter likes her too to have painted her as the first portrait. Even then I just enjoyed her movies.. 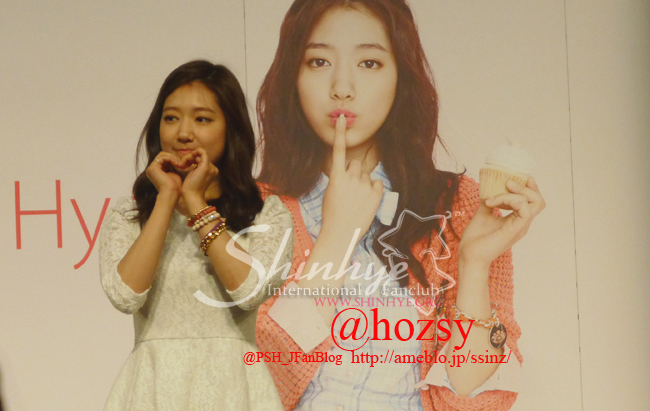 But, Shinhye grabs hold of you in a way that is inexplicable to me. I love the real joy and happiness that she exudes and brings to others. For me she is a beautiful in every way. I could write a lot about her but suffice to say that everyone who has met her, worked with her and interviewed her have only praised her in superlatives as regards to not only her looks but also her personality. I remember one interviewer actually said that she wished she could take her home with her. I seriously think you are in the wrong forum. Are we really looking at the same person? You are totally off in your comment. Park Shin Hye has never looked better than these days. She is lovely, elegant and graceful. I love her figure that makes anything she wears look good. She does not have to do anything except continue with whatever she is doing these days. Wish we could see more pictures of the FM. She was looking beautiful in some pics that I got to see .....specially in the pale pink one. 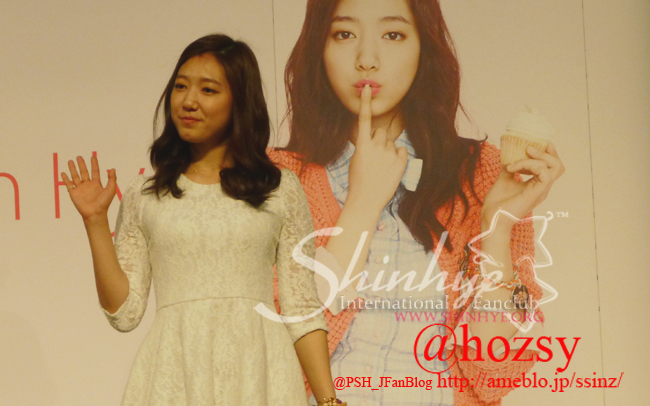 The pictures don't do justice to Park Shin Hye. Although she is lovely to look at but for me her real beauty is how she carries herself, her mannerisms, what she says and how.......her cheerfulness, sincerity, positive thinking and humility. The things that she does for others and herself, the happiness she brings to everyone she comes in contact with........That's the total package that makes her beautiful in a way that is evergreen.........You like what you see even when you dig deep. She was like an angel. 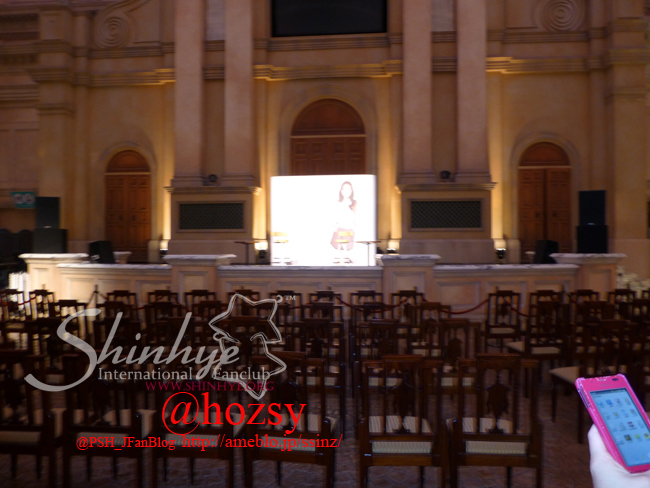 I think the photos which Shin Hye wore white dress were taken with low lighting. 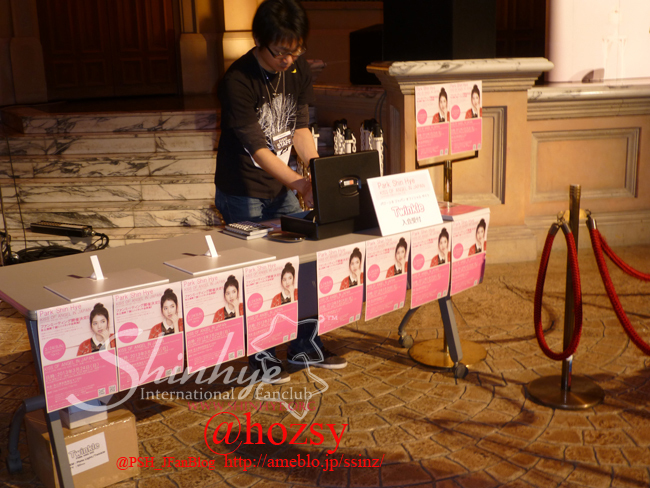 Those photos were not from 24 march, but one day before her FM, it was the day when she was having fan signing. The prOblem with those photos is only low qualify lighting, so she is looked like having tanned. The next day, all of her photos when she was having FM were OK, those are just like her usual Photos. Besides, the day when she was having the fan signing, she wasn't feeling well, she said on her twitter that she had headache. She is always beautiful. It's a pity there are so few of her Japanese FM pictures but she is lovely in them. I am waiting for her interview at the press conference and the details of the FM and obviously the videos. Yes, the day she left for Japan, I believe she had a headache with sinus problems. I suffer a lot from it so believe me its a surprise she can smile and at the same time be active and look good. One just wants to rest. I hope she gets some rest and recover soon. She has a hectic schedule filming the MV being released in April and other FM's too. Love her. Hate is a very destructive emotion. The more you feed it the worse it gets. It leads to negativity in our actions too. For someone who lets them be consumed by it to the extent that they act on it is pitiable because over a period of time it distorts their personality. They become a person that they were not meant to be. It filters into all areas of our lives and actually affect our perceptions. 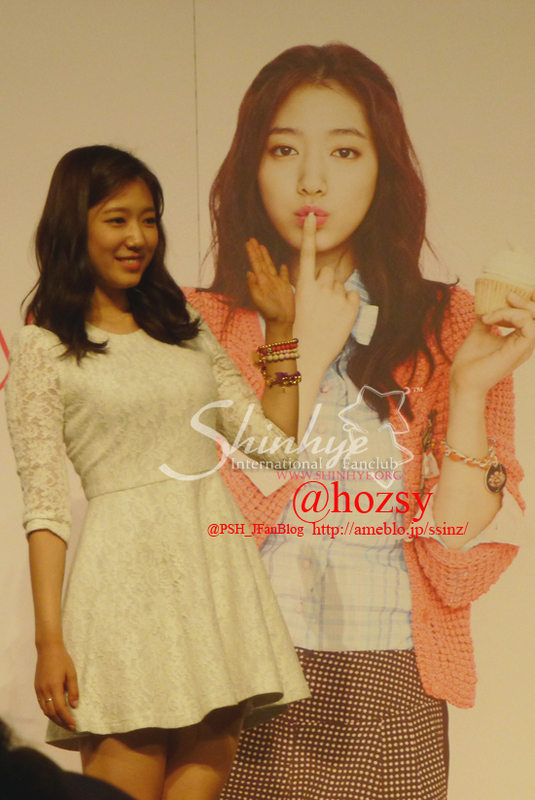 Park Shin Hye is beautiful! I love her positive outlook. She loves people and that sincerity of emotions attracts me towards her. I like her infectious positivity of attitude that filters into my life just by getting to know her through ........her projects as an artist and through her life as a person. That's what I call a lasting beauty.